About a year ago Leanne from Devoted Quilter and I started discussing swapping mini quilts with each other. I'm not sure why it took a year for us to actually do it, but she has finally received hers this week and now I get to share it with everyone else! Leanne's Star mini quilt, measures about 18x18"--I am terrible at keeping a record of swap quilts once they are mailed out! My fabric pull inspired by the "Petalled palette" above. Then I saw she has a whole board dedicated to star blocks, and even though that doesn't necessarily mean she loves stars (she could be collecting them for other people's interests, etc), I decided to go with it. Rarely do people dislike a star quilt, right?? I used this star block tutorial (which I've used before but have no record of, ha). I wish I had thought of adding the white where that line is before piecing it all together! I did leave it unquilted, for maybe an illusion of an octagon...maybe? I used two layers of batting--one of Quilter's Dream wool and one of Warm and Natural. I left the star unquilted so it would stay puffy. I quilted the grey (Kona Coal) using Aurifil #4241 (very dark grey) for the feathers and #5004 (grey smoke) for the crosshatching and orange peels. I used #2024 (white) in the ditch around the star and white fabric. Quilting detail. Aurifil #5004 is a near match to Kona Coal. The binding is Kona Charcoal, and the backing is something from my stash of mysterious origin. But it's blue, and I read somewhere that Leanne liked blue. Plus, those dragonflies are super cute. This swap was really enjoyable, and the quilt Leanne made for me is gorgeous--go see her blog post for all the details! Private one-on-one swaps are the best! Quilting is where the magic happens--I love it! Quilting IS where the magic happens and I love that you say you quilted the life into the quilt. YES! :) I do think that leaving the grey unquilted where you would have added in white is actually quite effective in pulling out the octagon shape - espeically in your last image. I am so happy that the private swaps are working out so much better for you this year. I love those last two pictures...one quilted and one not! What a difference!!! I love piecing, but you're absolutely right that quilting is where the magic happens. I can't imagine ever sending my quilts to someone else to quilt (even though many longarmers do an amazing job). I do love star quilts, and feathers, so you chose perfectly. I agree with Yvonne that leaving that little bit unquilted creates the octagon shape, and I think it may even look better this way than if you added the white, though we'll never know unless you make another one with the white added ;) Thank you so much for making this just for me...I absolutely love it! Gosh, this is pretty. I'm crazy about the palette (mmmm ... all that gray!) and the quilting, especially your ring of feathers. Lucky Leanne! This quilting has turned this mini from just another star to a star on the Hollywood walk of fame! Congrats! This is gorgeous Renee and as you say the quilting really makes it something amazing. Great choices all round. The quilting on this is definitely magic. Absolutely love it . You are a genius! I love that you walked us through your whole process. Very inspirational post! What a lovely mini!!! Why don't you enter it in the Bloggers Quilt Festival? It just started yesterday! This swap was amazing and both of your projects are so beautiful. Lovely quilting. You are both so lucky!!! What a difference quilting makes, it gives the piece life. Beautiful quilting and quilt. Love this colour palette and your quilting is AMAZING! Leanne is lucky indeed to be your swap partner! Thanks for linking up with TGIFF! This is a gorgeous star and you are right about the quilting making all the difference. Great job. Do you use a longarm or domestic machine to quilt? "Quilting is where the magic happens" so true. Cue sharp intake of breath as per usual, when I first saw your quilting. I checked out Leanne's quilt too, and wow, both quilts are truly works of art and love. How wonderful a swap! 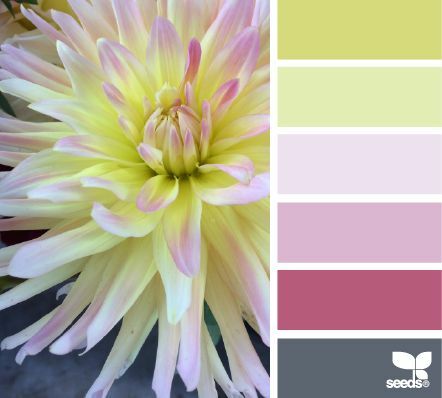 Love the colour palette you used for inspiration. I guess that is the good thing about swaps, it often makes you work outside your comfort zone. Great mini!! Renee, this is fabulous!! The star, your quilting! Beautifully done! The last two pictures are really great - what a difference quilting makes! Did you do any marking for the background or rulers? It is awesome! This is absolutely beautiful. I really love the background filler around your feathers. Your quilt really does interpret the inspiration photo well.